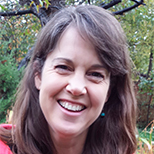 Sharon Ashworth is an ecologist and writer based in Kansas. After many years in academia, she now manages the non-profit Kansas Natural Resource Council and is co-authoring a book on wetland ecology. She has written for Mother Earth News and recently produced the three-part documentary, "The Waters of Kansas."